“Tablet time is over!” is a phrase repeated in my home at least 40 times a day. My kids would much rather spend their free time watching other children play on YouTube videos than being active themselves. Most of their friends also play online video games which makes it even harder to fight against what is becoming the new norm. Gone are the days of staying outside until the streetlights come on and riding your bike to see your friends. Today my son video chats with his best friends as they play together virtually... like WHAT?! My youngest child is six and hates sports. If it involves moving he turns into a block of steel, unable to bend or walk. I have tried literally everything with him, going as far as a hip hop class once, too. 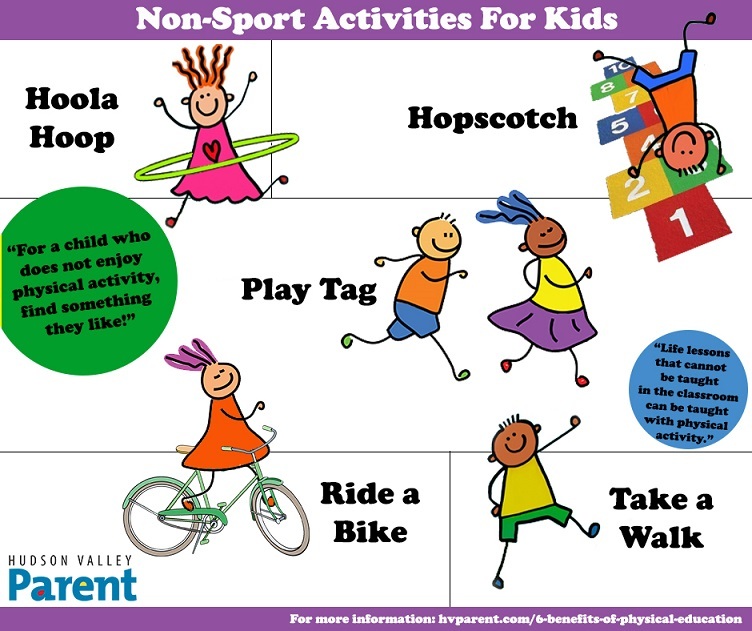 One of the best ways to get my child to want to live an active life is to set an example. Recently, we started hiking on the weekends and exploring new places together. He enjoys simple things he can do for short periods of time. Not all children are sports lovers, but that doesn't mean you should give up. It's good to find something active that your child might like to do, even if it's rolling their bodies down a grassy hill!